With IPLS GmbH and Shanghai Sunnew Wood Working we offer you a professional partner in China for the area of packaging for sea, air and road transport. 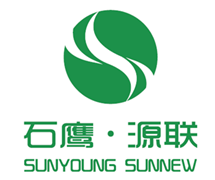 The IPLS GmbH and Shanghai Sunnew Wood Working cooperate successfully as partners in providing industrial packaging and logistic services for the Chinese market. Whether heavy cargo, container stowage, storage or transports – we are at your disposal with many years experience in China and offer you a professional packaging using certified packaging materials according to German HPE standards in China.